Welcome to Penn Fields Parish, Wolverhampton! Penn Fields Parish was created when the vicar of St Bartholomew’s, Penn, planted St Philip’s Church in 1859. Subsequently St Aidan’s and St Joseph’s were planted by St Philip’s. The Church of England parish is situated to the south west of Wolverhampton, and it is part of Trysull Deanery, in Lichfield Diocese. The patron of Penn Fields parish church is Church Pastoral Aid Society (CPAS) and the parish consists of three churches serving around 19,000 people. The PCC shapes policy which affects all the churches, such as the introduction of children to communion before confirmation and our parish child protection policy. However, each church has its own elected committee which oversees ministry, and manages the mission of the church. Weblinks have been created with the photographs to take you quickly to the individual church websites. 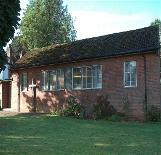 Penn Fields Parish is served by a Parish Office located at St Philip’s Church, Church Road, Bradmore, Wolverhampton WV3 7EN. If you wish to contact the office, please email on: mailto:office@pennfieldsparish.co.uk or phone 01902 341943.